German actor Max Riemelt already had his fans questioning his sexual preference, but it wasn't enough for him as he dropped another bomb to the speculations of him being gay. Did he introduce his gay partner or was it just it just another movie role as gay? Max Riemelt is widely known internationally for playing the role of Wolfgang Bogdanow in the Netflix series, Sense8. In Germany, he is known for contributing to the television and cinema acting and directing for several years. Max starred alongside Australian actress Teresa Palmer in the psychological thriller Berlin Syndrome in 2017. 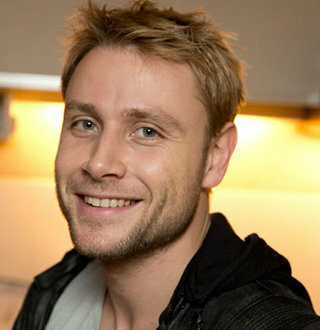 Born on 7 January 1984, Max Riemelt followed his acting career in Germany at the age of 13 in the TV productions, Eine Familie zum Küssen, and Praxis Bülowbogen. His talent got recognized quickly as he was cast as a leading character as the Waisenkind ‘Max Loser’ in the ZDF Christmas series Zwei Allein that was directed by Matthias Steurer. The 34-year-old actor soon made his music video cameo appearance in Two of a Kind by the Hamburg duo “R & B.” His profession soon led him to star in Dennis Gansel’s feature film, Girls on Top in 2001. It was in 2013 when he starred in the movie, Free Fall alongside Hanno Koffler where he plays the role of a gay police officer Kay Engel. 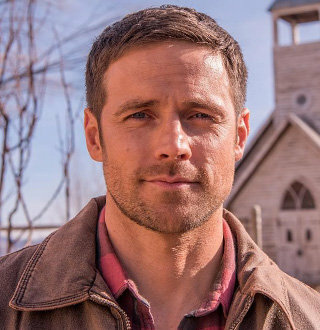 The movie follows a gay love story and has been compared to Brokeback Mountain. His big break in the international industry landed when he starred in The Wachowski’ Netflix series, Sense8 from 2015 to 2018, playing as a German locksmith named Wolfgang Bogdanow. The series had its first season showered with positive reviews from the critics. Many people assume Max is gay due to various reasons; one of them comes with his gay role in the German drama movie, Free Fall. And Max has not bothered to clear the assumptions as well. So the movie follows his love story with his gay partner, Marc Borgmann that is played by Hanno Koffler as Marc struggles to maintain his relationship with his pregnant girlfriend and the affair he develops with Kay Engel, that is played by Max Riemelt. That was the first reason why fans were questioning Max being gay. Oh, and you have to get a bite of this incident that led people to confirm that Max was gay. It just happened… It was all like in a dream and it felt so good… people like to see us making out together and we thought it would just be a nice treat for them. Oh and we believe you Max; not the thing about giving the fans a nice treat, but the fact that you confessed that it felt like a dream. Well, that pretty much confirms that Max is a gay; he could be a bi-sexual as well, but no one knows. But Max has refrained from opening up too much about his dating life or his possible mystery husband. That may be because he doesn’t have a partner or because his partner likes to stay in the shadows. Anyway, Max hasn’t dropped a single hint on his dating status, but he has mentioned about having a daughter who lives with him in Berlin. So that must mean that he was previously married. Well, all we hope is that Max soon feels comfortable with discussing his sexuality or talk about his partner and that it’s not too far that Max introduces his husband to the media. Joseph Sikora Top Secret Married Life & Wife Revealed? Answer - Twisted Yes! Parisa Fitz-Henley Married With Husband & No One Noticed! Are They Parents?